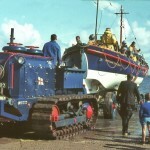 You are here: Home / Lifeboat / Lifeboat Exercise: Name the year? 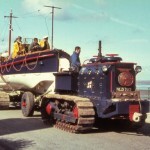 I remember this day or one very like it, I would have said it was 1973 or 74, used to love watching the lifeboat going out, always ran down if I could when the maroon went off!!!! 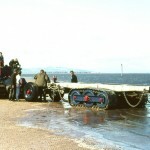 What a great set of photos. 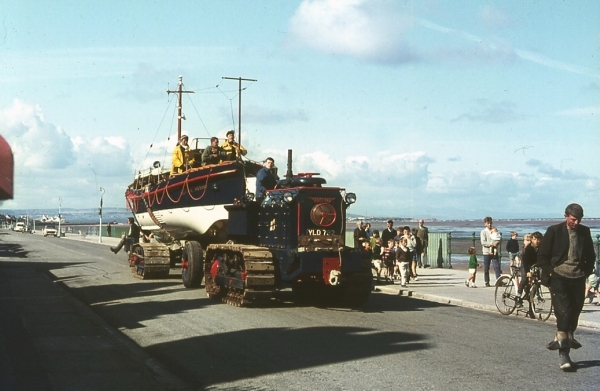 The boat is Oldham IV, so the date has to be between 1952 and 1970 – I’m sure somebody will know the tractor and the people to get closer to the date. 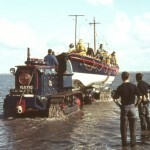 The fowler tractor was on station 1960 to 1969, Ronnie bates was the head launcher seen walking in front of the tractor, and was head launcher 1964 to 1966. 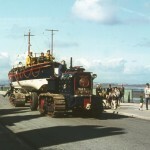 This is Oldham IV, which left Hoylake September 1970. 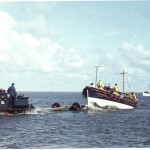 The crew on the deck of the boat on the top picture are Roger Dehany, Ted Bird, Peter Jones and the fowler driver is Eric Eccles. 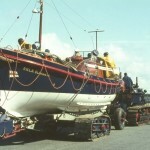 What year did the “new” lifeboat arrive. I was born in 67 and can’t have been more than 3? 4? 5? 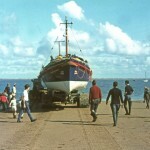 There was a big day on the sand and I think in a box somewhere I might still have the pencil my father bought me. 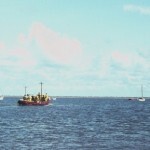 Such an exciting day. 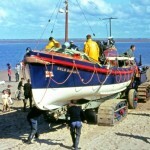 The New Lifeboat Mary Gabriel arrived in June 1974. 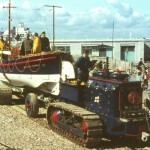 This is probably the lifeboat you remember.